A lot of new changes have taken place, including a new listing of the new products we sell. We're hoping to get more listings for the used products as soon as we can, and to showcase some specials. Check out our Products section! Magnecomp Scoreboards is proud to announce it's support for the breast cancer society of manitoba; CancerCare Manitoba. 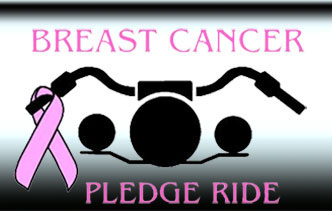 You can visit their website for more information about the Pledge Ride here: BreastCancerPledgeRide.com. Magnecomp has partnered in business with I.C.E. Marketing & Consulting which supplies organization level sport equipment and consulting. You can check out their website at ICEMarketing.com. I'd like to take a moment to discuss the changes here at MagnecompScoreboards.com. Certain sections of the website are under reconstruction. The old design was great, but this new design better reflects our sentiment towards business. The information will be more straight forward, more concise. The redesign will see major changes to the Photos and Products section, as well as the addition of two new sections; the Services section, and Contact Us. If you need any information or have any questions in the meantime, check the Contact Us section for our information, or use the email form under Support. One final note: Internet Explorer 6 is no longer supported by any web standards, so support for that browser will be somewhat limited here on MagnecompScoreboards.com. If you have trouble and you are using Internet Explorer 6, I recommend upgrading your browser to IE7 or higher, or downloading the free Firefox browser. Thank you for visiting ScoreboardGuy.com! We would like to make mention of a service offered by The ScoreboardGuy; retrofitting. We can take an old sign and make it new again! Repainting, modifying and upgrading to efficient LEDs are some examples of what can be done. In addition, ScoreboardGuy.com is now offering a list of products we have available. We will be adding more products in the immediate future. Since 1985, Magnecomp has manufactured quality scoreboards throughout Western Canada. We supply a complete line of reader boards and timers. Magnecomp is a Sales and Service Representative of OES Scoreboards.